Investors Dream! This is PRIME real estate zoned commercial. 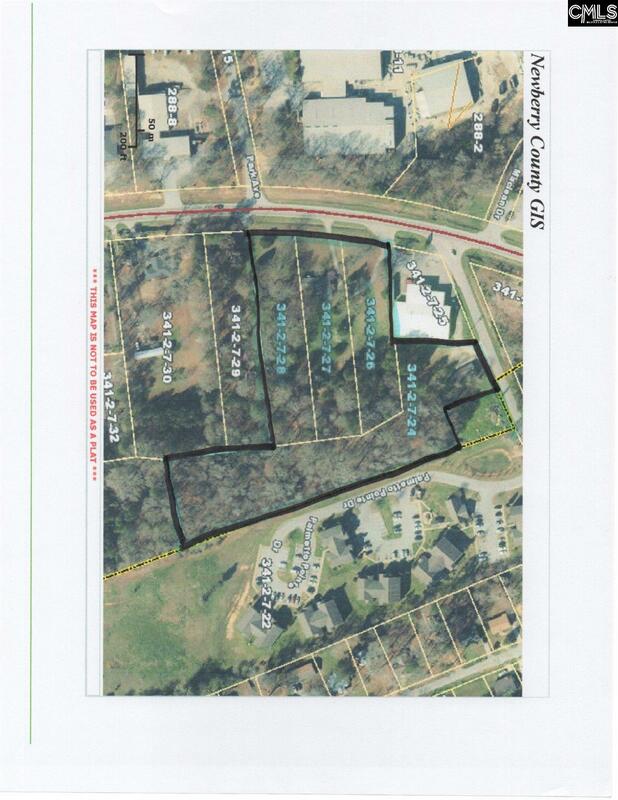 5.71 Acre lot with another acre that can also be included in a sale. High traffic area with a lot of potential. Would like it to be sold as a whole but will consider subdividing. Includes the following TMS #'s: 341-2-7-24, 341-2-7-26, 341-2-7-27, 341-2-7-28. Other possible acre is 341-2-7-29.Well is currently on the property. Buyer to verify water, sewer, survey, and any other requirements for the property. House is currently on property and conveys with sell.